Eczema - Advanced Skin and MOHS Surgery Center, S.C.
Eczema refers to a broad range of conditions typically hallmarked by itching. It occurs when impairment of the skin’s barrier function leads to increased sensitization to irritating allergens. Acutely, eczema may present as a red patch with grouped vesicles. Chronic lesions may appear red or scaly and progress to a thickened rough plaque. Nammular Eczema– Primary lesions are red, coin-shaped, crusted patches that may fuse together to form larger patches. Dyshidrotic Eczema– Commonly known as “hand eczema”, this subtype presents with redness, dry scaling, and clear vesicles. 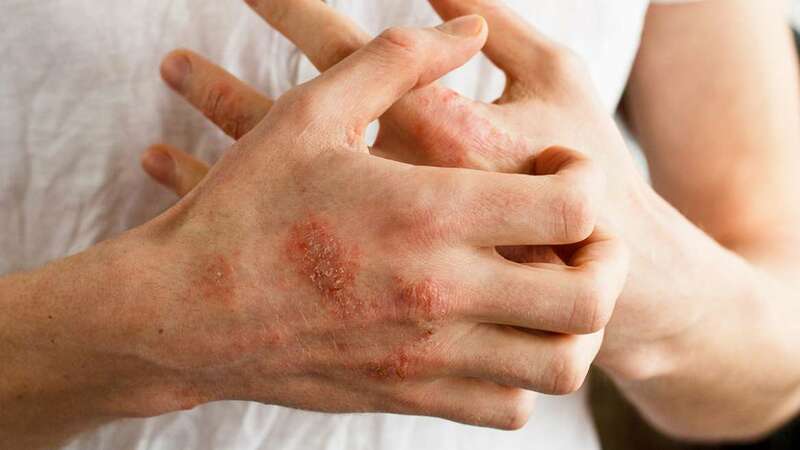 Asteatotic Eczema– Commonly known as “winter itch”. This condition refers to dehydrated skin showing redness and fine cracking that may resemble fissures. Atopic– Hereditary condition beginning in childhood. Atopic Eczema causes red patches on the flexural surfaces that are extremely itchy. Treatment for eczema is very individualized and depends on the location and extent of your condition. Eczema can be controlled for certain amounts of time, but may continue to relapse throughout life.